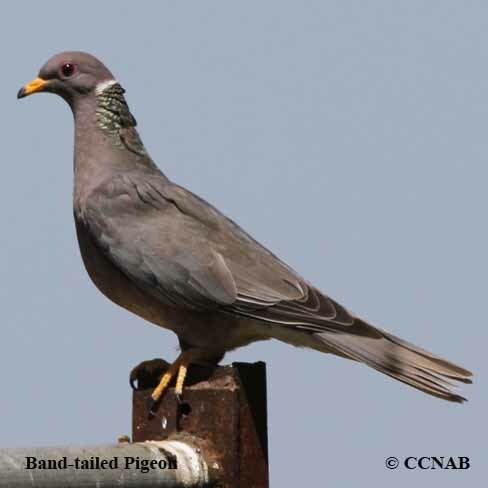 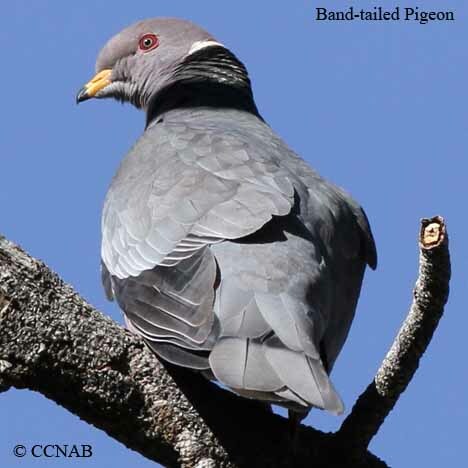 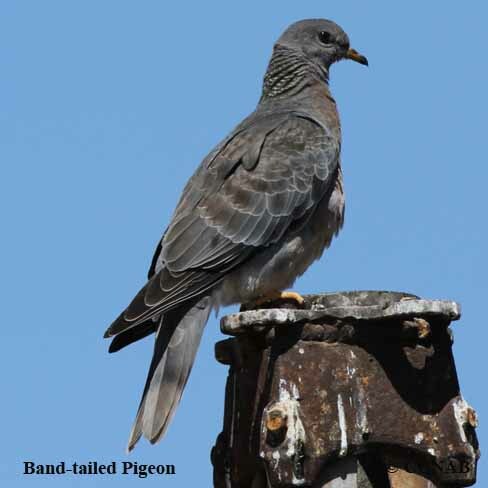 Distribution: The Band-tailed Pigeon is a woodland bird that is found mostly in conifer-type forest. 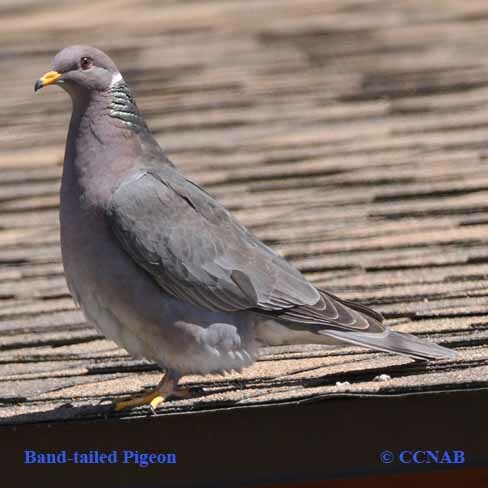 It can be seen along the southern coast of British Columbia and in the southern areas on Vancouver Island. 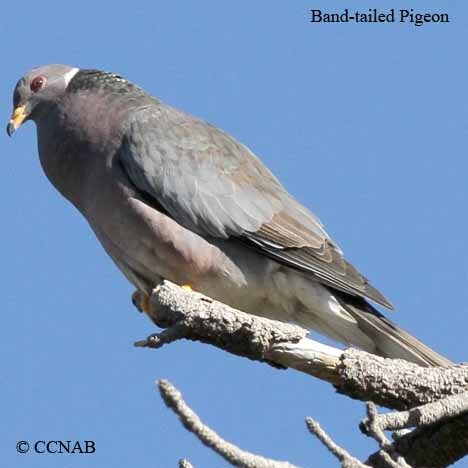 It lives and nests year around south through Washington, along the Pacific coast into the mountains of southern California. 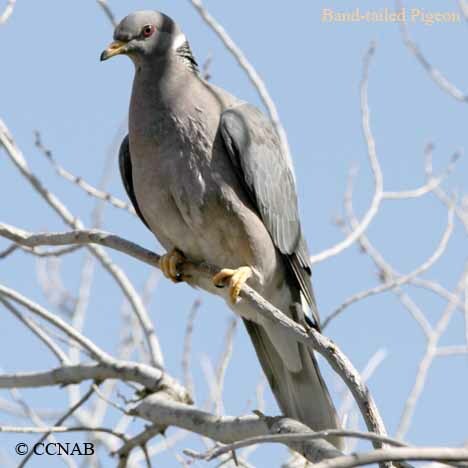 It can be found in Colorado during the nesting seasons, west into Nevada, south into Arizona, and east into New Mexico. 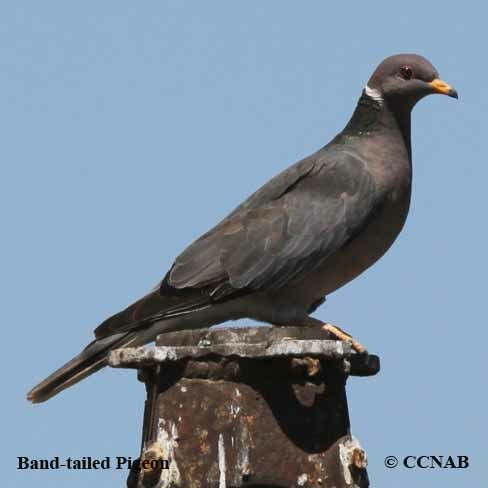 It lives year round in Mexico.